The challenges in meeting the needs of vulnerable adults are to ensure there is no abuse, neglect or exploitation. If we know a vulnerable adult who is not getting the care they need, Adult Protective Services (APS) are available to assist. Additionally, APS provides education and training to community partners, local service providers, and the public. To make a report, or find out more about APS contact the local Area Agency on Aging. We can use the area map below to find the nearest Area Agency on Aging for provider information. Also to the right, “Quick Tips” and “Resources” are available to better assist us with finding reliable information and supports. 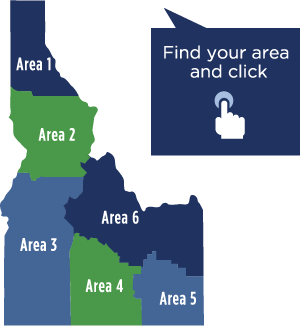 The Idaho Commission on Aging provides a secure Adult Protective Services (APS) online system for mandated reporters and financial institutions to report suspicions of abuse, neglect, self-neglect, and exploitation of vulnerable adults age 18 years and older. Mandated reporters and financial institutions submit online APS reports here. who are victims of mistreatment should be treated with honesty, caring, and respect. have the right to be safe. retain all their civil and constitutional rights, i.e., the right to live their lives as they wish, manage their own finances, enter into contracts, marry, etc. unless a court adjudicates otherwise. have the right to make decisions that do not conform with societal norms as long as these decisions do not harm others.